Nasofix™ is the latest innovation in nose reshaping created to be a nose job alternative that can help reshape the nose. With regular use of Nasofix™, you can reshape your nose to improve its general appearance. It is used to help make large nose smaller, flat nose pointier, long nose shorter, wide nose slimmer, bulbous nose sharper and crooked or asymmetrical noses aligned. It can also be used for droopy nose to lift the tip up and to straighten humps or bumps along the nasal bridge. All these for just 10 minutes a day and you will see why we provide the great nose job alternative solution in the market. We are confident with our product but we also know that there are some clients who slowly or do not respond to nasal reshaping and that is why we offer a 60 Day money back guarantee for you to try our product RISK FREE. Our nasal cartilage is a unique connective tissue. It is made up of only one cell type – The Chondrocyte, these cells produces a rich and elastic matrix consisting of a protein known as collagen. Our nasal cartilage is made up of collagen II, a specific type of collagen that is known for its high molding capability. Collagen II is about 70% water, making it highly reshapeable. What Nasofix™ does is it applies a consistent pressure of 0.5 psi to the collagen matrix. This pressure is the optimum pressure necessary to reshape the cartilage. The high-grade patented Thermasilica™ in Nasofix™ is not an ordinary rubber nor silicone, it emits a safe and comfortable level of warmth that you can feel while using the device indicating that it is actually reshaping your cartilage. You can feel its working and you can see its working. This warmth is necessary to soften the collagen and enhance the reshaping process. Evidence of cartilage and bone reshaping is seen all throughout history. Different tribes in Africa have been reshaping their nose, ears, skin and neck using variety of primitive tools invented thousand of years ago. If you are wearing glasses, you can see that there is a permanent dent at the upper nose bridge due to the pressure exerted by the glass itself. Nasofix™ combined these basic principles with science, technology and medical research to create the best nose job alternative tool available. Nasofix™ is 100% safe. We have tested our product thoroughly before putting it on the market that is why we are confident that it indeed help reshape nose safely, efficiently and without any adverse side effects aisde from redness that disappears after use. The product is carefully designed to produce effective nasal reshaping. The pressure exerted by the device will not cause damage to the nose and is deemed very safe by the current medical standards. Our patented Thermasilica™ technology produces warmth that simulates a normal internal body temperature of 37 degree Celsius for effective cartilage reshaping. We truly believe in the safety and integrity of our device that is why we are confident in giving a 60-day money back guarantee. Using Nasofix™ can help reshape the nose giving your the confidence you need. The comfort level using our device is extremely high. You can also breathe comfortable without any interference when the device is on. Nasofix™ is also safe for use in children 7 years old and above. We also encourage you to read user reviews all over the internet by typing “Nasofix Review” in any major search engines as for you to have an idea what can you expect using our product. With comfort, safety and efficacy on our mind you can rest assured that we only give the highest quality product that will exceed your expectations. 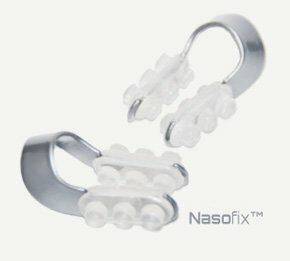 Join thousands of users who experienced Nasofix™! WARNING: Nasofix should not be used for over 30 minutes per session as this can lead to nose redness and burn injuries. Make sure each sessions of use lasts only 20 to 30 minutes. *DISCLAIMER : Results varies from customer to customer, There are small percentage of users that experiences slow changes and some who doesn’t respond to Nasofix at all. 1. Wash face with mild soap and water and make sure that the nose is free from dirt and oil. A. For flat nose, place the Thermasilica™ at the area that you want to elevate. This also applies to patients with midcartilagenous regression which is evident when the middle bridge of the nose is very low making the top bridge and tip prominent. B. For big bulbous nose, place the Thermasilica™ at the tip making sure that the middle part of the nose down to the tip are compressed. C. For dorsal hump, align Nasofix™ making sure it’s bridge shield is at the level of the dorsal hump. Put it normally and press the bridge shield against the hump. The Thermasilica™ will normally move up and front to allow the bridge shield to compress the dorsal hump. Alternatively, you can place the Thermasilica™ at the area below the hump to elevate the area thus hiding the dorsal hump. D. For wide nose, place the Thermasilica™ at the widest portion of the nose. E. For long noses, you need to wear Nasofix™ upside down pushing the nose back with the bridge shield while maintaining its normal shape using the Thermasilica™. 3. Maintain placement for 10 minutes. Avoid holding the device or changing its position. 5. Clean the device with alcohol and store in a dry place. 6. Repeat this process daily for 10 days. For best results, maintain a consistent routine for 1 month. 7. Contact us for any inquiries and concerns at support@nasofix.com. 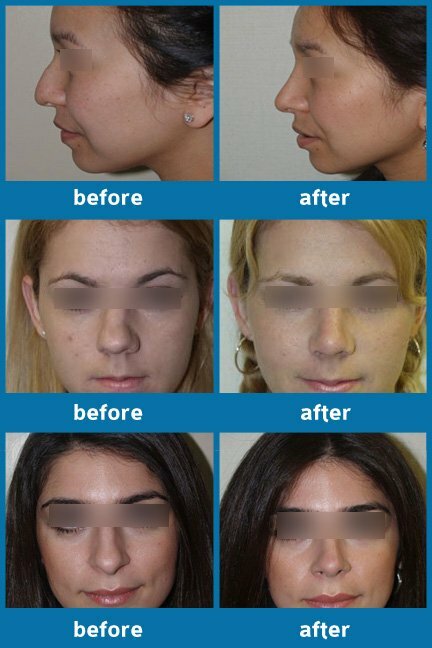 “I would recommend Nasofix in all but severe cases of nasal deformity over rhinoplasty. Disclaimer: Nasofix is a nose reshaper, It can reshape the nose to make it more defined, slimmer and more aesthetically presentable however, it cannot correct major nose problems and still cannot replace medical surgery. For major problems such as breathing difficulty, nasal polyps, sinus pain, nasal nodules etc. consult an EENT specialist. Like us on Facebook and get a chance to win $100 cash and 3 pieces of Nasofix™. Draw will be on the last day of each month. 3 lucky winners are randomly selected from anyone who liked our page. Winners are notified via email and will be announce on our website and fanpage. Buying Nasofix™ is 100% safe and secured. PayPal automatically encrypts your confidential information in transit from your computer to PayPal using the Secure Sockets Layer protocol (SSL) with an encryption key length of 128-bits, the highest level commercially available.